Welcome to the Telinta Knowledge Base! Telinta’s online Knowledge Base is a unique tool to complement our 24×7 live technical support, online documentation and other resources.While our Support Engineers are available to help you around-the-clock, we also realize that there are some functions which Telinta customers prefer to learn on their own, and to “learn by doing.” Our Knowledge Base provides you with self-service explanations, tips and best practices to help you configure your TeliCore switching environment, and to help your business grow. Founded in 2002, Telinta is a leader in the field of cloud-based switching and billing solutions for VoIP service providers. VoIP service providers around the world rely on Telinta’s expertise, and our Knowledge Base is one of the ways we share that expertise with our customers. 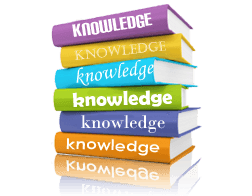 Many of the areas covered in the Knowledge Base are things frequently requested by our customers. Have a suggestion for a topic to add? Please contact us to share your feedback.